"In Philadelphia debut, pianist Einav Yarden is an intruiging personality"
"her personality was strong..she takes it on with conviction...lovingly rendered...a musical personality operating at a high level...She was an ardent advocate for the sweetness in Schumann’s Three Fantasy Pieces... I did love her way with this hunting jaunt in which a clear sense of key sometimes slips away like elusive prey [about Haydn Fantasie Hob XVII/4]. She stretched the meaning of those long-held low notes to the point where you think the piece may have ended. Wait for it, her playing said, and then wait some more. Is the hunt over? Yarden is not one for spoilers, and that’s a good deal of her appeal." "...Freilich hat sie den Abend weit mehr als nur gerettet. Großer Beifall des internationalen Publikums." "...She certainly did much more than save the evening. Grand appluase from the international audience." "Yarden proves once again being amongst the best pianists around...she ably creates an ambiance of dreamy resignation leading into troubled dismay; a masterly portrayal of opposing elements... engaging soul searching tour..
Great review on UK's Gramophone Magazine! "What an enterprising programme from the Israeli pianist Einav Yarden. She eschews the obvious, choosing six of Haydn’s middle-period sonatas which offer a microcosm of his endlessly varied world and she responds to each with great characterfulness. That is evident from the first sonata here, the F major (No 29), whose first movement satirically juxtaposes the most highly contrasted ideas: Yarden allows the humour to speak for itself, whereas Marc-André Hamelin tends rather to underline the jokes. Her way with the minuet finale, with its dolorous syncopated trio, is also spot-on. She delights in the physicality of the Allegro of the D major Sonata (No 24), with its repeated-note figuration that simultaneously looks back to Scarlatti and forwards to Beethoven; its operatic D minor slow movement has a beautiful sense of line and she switches effortlessly back to freneticism as the Presto breaks in. Every sonata seems to spring a surprise, not just musically but compositionally too. So we have as the second movement of the E flat major (No 25) a two-part canon which manages never to sound contrived; this follows a far-reaching Moderato which moves from mock-pomposity to gleefully upbeat writing. If Hamelin again is inclined to overdo the contrasts a little, Jean-Efflam Bavouzet is the most subtle of mischief-makers. In the A major (No 26) Haydn borrows the palindromic minuet from his Symphony No 47, and then follows this with a brilliant blink-and-you-miss-it finale; here, Yarden is fleet and airy, though her accentuation certainly doesn’t lack bite. The best-known sonata here is the B minor (No 32). Perhaps the highlight of Yarden’s reading is the Minuet’s Trio, captivatingly played; in the driving finale she balances the dramatic and the filigree to a nicety... Yarden clearly has much to say in this repertoire and she’s beautifully recorded too." 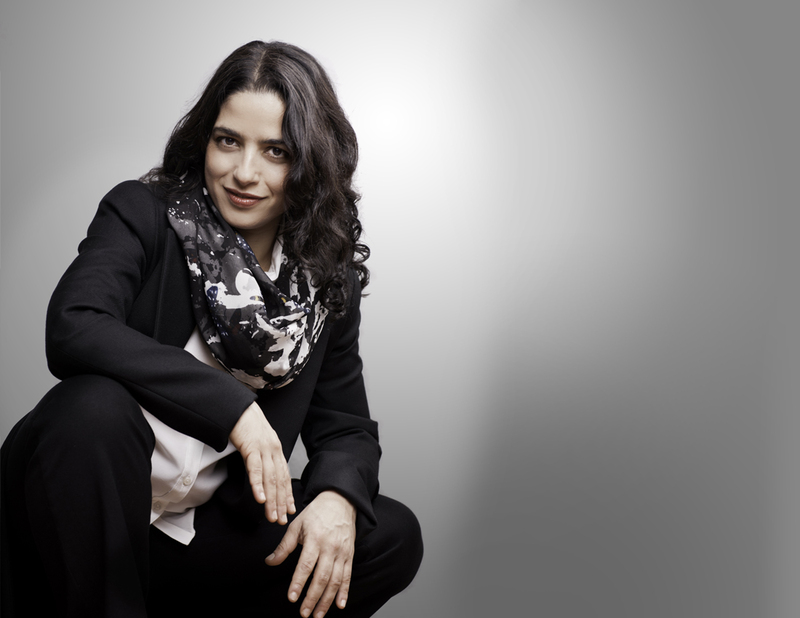 "Einav Yarden…a passionate advocate for the smallest details"
"With the right people there is no better music than Haydn's, it is full of imagination, wonder, contrasts and boldness, but you have to dare to play it that way. If it gets only slightly academic it looses its strength and gets dull. This performance is enlightening and exciting". Yarden shines with a delicate and disarming frankness as well as transparent simplicity... This is a fine recital, which can safely be taken as a prime recommendation for enlarging your collection. Direct, incisive, and always intelligible, this pianist instantly marvels us in two of Haydn’s works (Hob. XVI 24 and 31). She plays gracefully and elegantly with an expressive, spiritual and extremely ornate script, complete with tasty frictions, imitations in canons, sharp trills, leaping drums, and cascades of sextuplets. With clarity and focus, clean lines, and free from all frills, the quasi baroque central Allegretto in the Sonata in E major sounds as pure and beautiful as Bach’s music. In but a few brief pages, conceived organically with long arches, the former student of Leon Fleisher reveals her character: complete respect for rhythmical values and patterns, an understanding of phrasing that is both sharp and unfailingly followed through, awareness of form, a strict organization plan, due care for timbre, sound, and precise pedal usage. Her attention is instinctively drawn to the overall structure, rather than to impeccable finger technique per se. This allows the pianist to communicate the work’s inherent meaning with magisterial and quiet authority. The Sonata in G major by Schubert (D.894) reaps all the benefits. The musician draws unexpected colors from the keyboard, fearlessly allows silence to breathe, and is animated by a living pulse (similar to Liszt’s tree, whose leaves undulate in the wind without shaking its base). She has a wide repertoire of motifs, and casts different lights as she brings them to us. The changing narrative, climate and psychology are incrementally encapsulated by the modulations of the text itself, via harmony instead of by resorting to artifice. Yarden was highly acclaimed; sang Widmung with the same spontaneous impetus, as successive waves surged. The theme of Schumann’s famous lied transcribed by Liszt was approached sotto voce, with exquisite humility, and filled with new echoes at each utterance. It swelled and enlivened its audience all the way to the passionate declamation, supported by some arpeggio laces, and the inflexions of Rückert’s poem that one could almost hear. This marvelous program concluded with the pleasant Argentine syncopations of Stravinsky’s Tango. (April 7). "In her debut album released last year, “Oscillations,” Israeli pianist Einav Yarden paired Beethoven with Stravinsky to striking effect, merging that unlikely couple with imagination and exceptionally vivid playing. Yarden brought those same qualities to the Phillips Collection on Sunday in a recital of Bach, Ravel and Schubert. The afternoon [...' showed Yarden to be a probing, incisive pianist with a beautiful sound and an impressively transparent touch. That transparency was quickly evident in Bach’s English Suite No. 2 in A Minor, which opened the program. If you like Glenn Gould’s Bach, you’ll like Yarden’s. It is crystalline and precisely balanced down to its molecules, with superb voice-leading and a sense of purpose in every note. Yarden might not have demonstrated the hyper-immaculate technique that has become the new normal in classical music, but [...] she turned in a reading with something much more important — a sense of immense majesty, tempered by gentleness and quiet grace. Maurice Ravel’s “Valses nobles et sentimentales,” from 1911, gave Yarden an opportunity to display her more lyrical side. The suite of eight waltzes still sounds adventurous and even edgy, and Yarden seemed to revel in its quick shifts of light and dark, its shimmering textures and its playful, sly wit. She brought the same clarity to Ravel that she brought to Bach. Piano recitals often close with a high-octane piece designed to get the pulse racing, but Yarden chose Schubert’s Piano Sonata in G, D. 894, a work that glows with serenity for a good half-hour, then just sort of falls asleep. There’s little of the heaven-storming that Schubert dishes out in his other sonatas, but Yarden brought a quiet sense of drama to the work, and the delicate mix of wistfulness and thundering that she found in the Andante was worth the price of admission. Still, it was a welcome treat to hear Stravinsky’s “Piano-Rag-Music” as an encore. This spirited, jagged work from 1918 (think Cubist jazz, with a Russian edge) is not often heard, and Yarden’s quick, lively reading brought it to life. A packed house at the Phillips Collection could have been forgiven if they thought that pianist Einav Yarden had magically switched out Steinway grand pianos between numbers. The Israeli pianist, making a return to our region since her days studying with piano legend Leon Fleisher at Baltimore’s Peabody Conservatory, brought her growing international reputation for drawing remarkable contrasts and connections among dissimilar parts of the piano repertoire to Phillips in its Sunday Concerts series. Ms. Yarden began her program with Bach’s English Suite #2 in A minor....Key to Ms. Yarden being able to do both with the same instrument is her uncanny mastery of the sustaining pedal. Unlike even some renowned pianists, she absolutely never “cheats” in very fast passages by smearing notes together with the pedal. Thus the Bach suite had the quality of space in between even rapidly running notes, especially in fast dances like its “Courante” and “Gigue” movements. Yet the Ravel waltzes on the same piano had the magical quality of sustained background chords, with each notional “melody” – often really a set of notes or note clusters linked across various registers in the piano – clearly presented in phrases pulled together by the pedal for no shorter nor longer than was required to isolate them. As soon as Ms. Yarden began the second of the eight Ravel waltzes, marked Assez lent avec une expression intense [...]the piano in the Phillips’ Music Room seemed to have completely transformed from the harpsichord-like quality of Ms. Yarden’s Bach rendering to the dreamy, almost orchestral world of Ravel. "Vor aliem aber spricht ihr Spiel weit mehr von Ausgleich als von Kontrast. Es ist pianistisch und musikalisch perfekt harmonisch, dazu vorbildlich klangschön und insofern bestnotenverdächtig." "...an exemplary CD anchored by a vividly insightful rendition of Beethoven's Sonata No 6 in F major, Op 14 No 2...Yarden offers warmly humane wit and animation. Stravinsky's substantial 1 924 Sonata and his shorter dance-inspired works all benefit from this reading.Yarden has the intelligence to imply that when Stravinsky wrote a polka, waltz or tango, it transcended the popular dance genre to become a commentary on human aspirations and experience... As a former student of the eminent pedagogues Leon Fleisher and Emanuel Krasovsky, both masters of metaphysical insights into Beethoven's sound world, Yarden has clearly absorbed a profound understanding of Romantic and modern pianism. I look forward to hearing her perform Schubert, Brahms, Webern and Shostakovich." In her album notes, Einav sets out to find how both composers – writing a century apart and with an entirely different tonal vocabulary – juxtapose drama with humor and sincerity next to mischievousness. To find that nexus requires more than the simple piano chops that dozens of young pianists on the international scene bring to the table. Einav employs superb dynamic sense, stellar pedaling technique, and exceptional “voice-leading” – the ability to find and tease out internal melodies from a massive cornucopia of notes – to make the piano tell a tale. [...]in the third movement of Beethoven's Piano Sonata #6 [...]. Not only do I practically crack up every time I hear Einav joyfully execute this sequence, but the album continues the humor theme in a number of pieces. With great gusto she plays a polka, a waltz, a rag and a tango by Stravinsky, reveling in their fascinating early 20th century distortions, very much like explorations by Picasso and other artists of the time of the classical forms in their own disciplines. "…From the instant her inspired fingers touched the keyboard, it was clear that [Ms. Yarden] belonged among the top-flight of her generation. Her resume is formidable… huge talent…We shouldn't have to wait very long." "...The genius thing with Yarden is primarily her unprecedented high pianism in terms of the ultimate mastery of her instrument (no wish stays unfulfilled! ), But most of all, the way in which all these diverse characters, not only within the program as a whole but also in the different pieces, managed to come together into a seamless exemplary total, especially in dramaturgical respect." “…Einav Yarden regaled these small stories [György Kurtág's "Játékok"] with exceptionally vivid articulation… Even in Béla Bartóks bagatelles op. 6, and especially in Beethoven's eleven bagatelles op. 119, not a detail escaped the pianist, who placed third at the Beethoven Competition of Telekom two years ago. She plays powerfully and with lots of energy, audacious from time to time, taking well-founded artistic liberties, and has a feel for poetry in the music […]. CD Album review: "The Sonatas chosen here share an exuberance of spirit skilfully evoked in Yarden's bright, inventive playing. The Stravinsky has an almost impersonal, mechanical bustle compared to Beethoven's more languid refinement, but their shared joviality and polymorphism [...] bridge the distance implied by time and style"
CD review: "This is an unusual juxtaposition of seemingly incongruent composers [...], but the Sonatas chosen here share an exuberance of spirit skillfully evoked in Yarden's bright, inventive playing." “I had the good fortune of catching Einav Yarden’s recital this evening. Holy mackerel. “Whatever the equivalent of a batting average is in music, the Myra Hess Concert Series has been racking up an extraordinarily high one. It moved a notch higher July 18 with the appearance of Einav Yarden… who plays with an authority and a beauty of sound that one simply does not expect from anyone that young. "Yarden showed commanding technique plus the ability to bring out each composer’s personality. In neither piece did she strike a perceptible wrong note. That test doesn’t count for much in itself – a performance with a fistful of wrong notes can still be exciting. Still, just as an achievement, an error-free concert is somewhere up there with a hole in one. "In Yarden’s performance everything had been thought through and matched against a very high standard of musical judgment. Then it was played flawlessly. “Einav Yarden…a fire-like pianist in a delicious musical bouquet in which the historic chronology was merrily distorted. Beethoven, Stravinsky, then Haydn and Prokofiev. The organization of the program immediately announced the strong personality of the … Israeli female virtuoso. The rustic G major sonata by Beethoven was delicate and refined, conceived to be played in the tone of a confidence between friends… The burning dialectic of the development set things in balance…the andante variations were splendid: Beethoven handling humor, rather than drama! … The final scherzo, a delicate joke with its malicious rhythm, terminates the sonata with audacity and mischievousness as well. The same light bathed Haydn’s 39th sonata, a masterpiece with strong melodic contrasts, a glory of bi-thematism. The young pianist played this radiating work like a virtuoso… she did not forget to pour her heart out in the adagio, or to highlight its humor. How much panache in the final presto! “Right at the start of her performance, Einav Yarden demonstrated her musical prowess with her rendition of Debussy's "Hommage à Rameau". Whoever possesses such a measured, contemplative and intuitive talent for intonation is sure to attract a great amount of recognition. Yarden did not simply belt out the notes recklessly, but rather portrayed a profound view of the world, both sundry and reflective. Her performance revealed incredible self-discipline and vigor, drawn from her exemplary and calm posture. With an almost uncanny ease, she unveiled the four-movement "Suite Bergamasque" from Debussy, sewing the parts together seemlessly as if cast from the same mold. Judging by her bedazzling ardency, Yarden would surely make an exceptional jazz pianist as well. Maurice Ravel's "Valses Nobles et Sentimentales" continued consistently in the same impressionist direction. Her rendition of Beethoven's "Appassionata" Sonata op.57 in F minor proved to be an even greater success, unveiling yet another dimension of her musical talent with extreme manual dexterity meeting raw elemental force. One might accuse Yarden of having a certain propensity for romantic flair. Her music...in no way avoids the use of tempo rubato, but this is what gives it a sense of liveliness and dramatics. This is how the most intense of feelings are converted into sound. The pianist's performance truly enchanted her audience. Spectacular! “Einav Yarden had much to offer the adventurous listener Sunday at her UAB Piano Series recital. Sidestepping the customary Liszt and Chopin showpieces, the Israeli pianist dug into some rarely heard works that deserve more attention… Stravinsky’s Sonata, from 1924…She took complete command of this work, contrasting its complex counterpoint with simple tunes.